"Great service! Very much appreciated." "His experience and knowledge is vast, and he's great, go to Dr. Kasiri." "I trust him with our kids and I highly recommend Dr Kasiri!" "Dr. Kasiri and his staff are EXCELLENT...really good at what he does." "I appreciate his knowledge and care. Good dentist, good equipment." We see emergencies on the weekend! Dr. Reza Kasiri, a leading dentist in Pacific Beach, North Park, San Diego, California, provides skilled and professional care and treatment at his two state-of-the-art facilities in North Park. Dr. Kasiri offers a wide range of dental services including root canal treatments, orthodontics, cosmetic dentistry, oral surgery, and much more. The Orthodontics and General Dentistry facilities are designed with patient comfort in mind and include the most advanced technology available. Dr. Kasiri earned his DDS from Northwestern University Dental School in Chicago, Illinois in 1988. He then received specialty orthodontic training at the Mid-America Orthodontic Institute. Dr. Kasiri is committed to continuing his education, learning new techniques so he can offer his patients the most extensive array of care options. He is also a member of the American Dental Association (ADA) and the California Dental Association (CDA). As a top dental care provider in Southern California, Dr. Kasiri understands each patient has individual needs when it comes to oral health. He works closely with every patient he treats to ensure the care he provides achieves the best results possible. Furthermore, Dr. Kasiri is a dental pain specialist, skilled in special techniques to help minimize discomfort so patients can get the care they need without fear of pain. Dr. Kasiri is currently accepting new patients, and he accepts all major insurers. 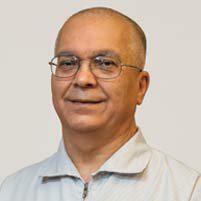 He speaks English, Spanish, and Farsi and enjoys working with a wide variety of patients. Use the online appointment tool to arrange your visit with Dr. Kasiri now. At Orthodontics and General Dentistry, we accept all PPOs and indemnities. We don't accept Medical or HMOs. Here is a list of some of the plans we accept. Please contact our office if you do not see your insurance provider listed. We offer complimentary ortho exams! If you receive a full ortho treatment, you will receive an electrical toothbrush! "Brought my 12 year old here today. Friendly, helpful staff. The doctor was friendly and went above and beyond." "This was my first time getting teeth pulled & I was very nervous to get it done but I think coming to this dentist was a great choice & I would definitely recommend him"
"Dr. Kasiri is amazing! I love his staff, I love going into his office, and I used to hate going to the dentist!" "My husband and I have been going to Dr. Kasiri for at least 6 years now, and he's always been courteous, professional and kind." "Dr. Kasiri does my dental work and he also does my daughters orthodontics. We have had great service each visit. He is also affordable."